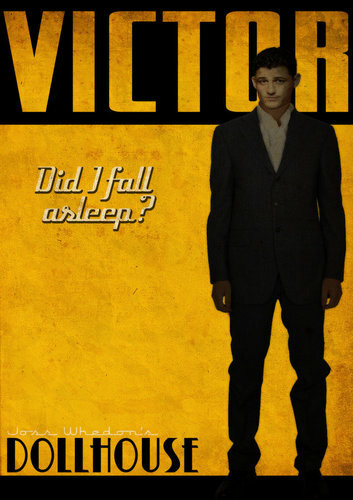 Victor Retro Poster. Made Von weeredfrog at Deviantart and yup, looking awesome.. HD Wallpaper and background images in the Dollhouse club tagged: dollhouse image poster fan art retro picture victor enver gjokaj. This Dollhouse fan art contains geschäftsanzug, business-anzug, anzug, anzug der kleidung, anime, comic, manga, cartoon, comic buch, karikatur, and comics. There might also be gut gekleidete person, anzug, hosenanzug, pantsuit, dreiteiliger anzug, dreiteilige anzug, slack anzug, slack suit, and schlaff anzug.